One of the most promising young actors that have taken Bollywood by storm is Varun Dhawan. Not only is he a brilliant actor, also he possesses looks to die for and an unmatched charisma which has made him a youth icon in every sense. One of his most inviting aspects is the tattoos he has got. Let us have a closer look at his tattoos. Varun has a tribal tattoo inked on his left shoulder, which he has copied from his idol and Hollywood Superstar, Dwayne Johnson. This tattoo signifies the ancient Samoan tribe to which Dwayne Johnson belongs. 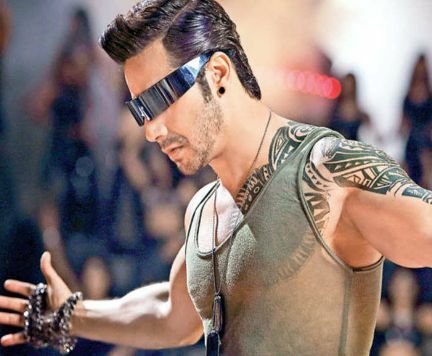 Displaying his love and respect to the legendary Michael Jackson, Varun Dhawan has got a tattoo of MJ in one of his iconic poses on his right forearm. Another tattoo Varun Dhawan boasts of is some mysterious figure, some religious figure in all the likelihood.